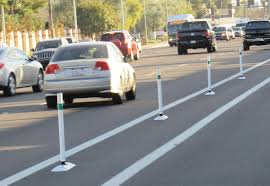 **McClintock Bike Lanes–an entire car lane was removed to add bike lanes and beautiful candlesticks. Now cars are backed up during rush hour. One neighbor drives 2.5 miles to work from her house just west of McClintock to her office just east of McClintock, a couple miles to the north. It now takes her 20 minutes. **Here is our tax money at work messing up McClintock Drive. When a driver wants to turn right, what exactly happens to the poor cyclist? I mean, not that there are that many cyclists in the bike lanes, but what happens to them? Note the nice wide sidewalks that have plenty of room for bikes. That’s where observers still find most cyclists–they aren’t stupid. Not a lot of bicyclists. Not enough to justify taking an entire lane of traffic away. And certainly not enough to justify the cost of the restriping and installing ugly candlesticks. **Think about it, if women really get paid less, wouldn’t all business owners want to hire only women so they could pocket more profits? In reality, “Equal Pay” are great words to get votes in a Council member’s next election and a way to create more government in Tempe to regulate the private businesses they say they appreciate. 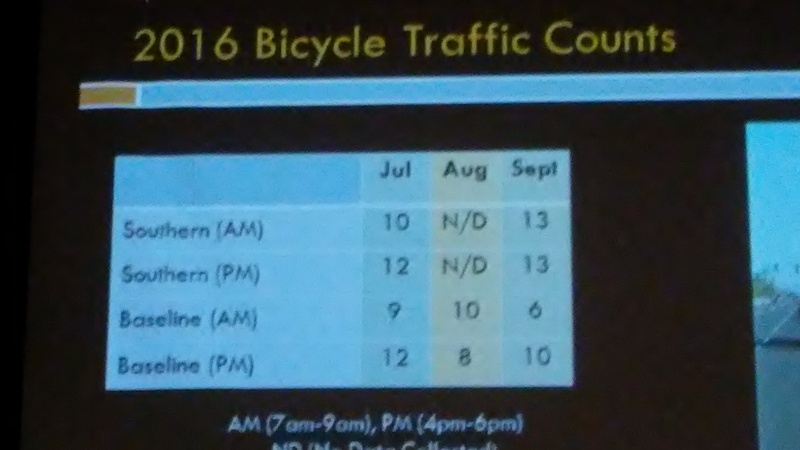 **Because the empty overpriced McClintock bike lanes aren’t enough, Tempe City Council is proposing (or have secretly already decided) to designate quiet Country Club Way, 1/2 mile east of McClintock as a bike lane. 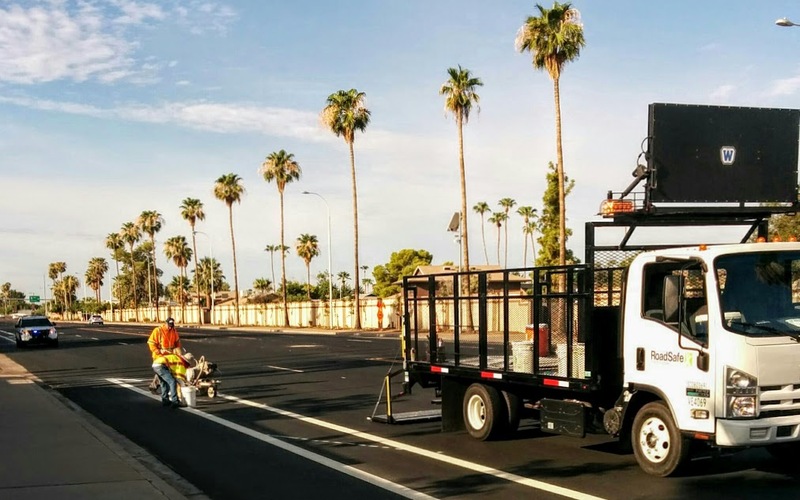 More construction, more confusion, more cost, and not what most neighbors want. 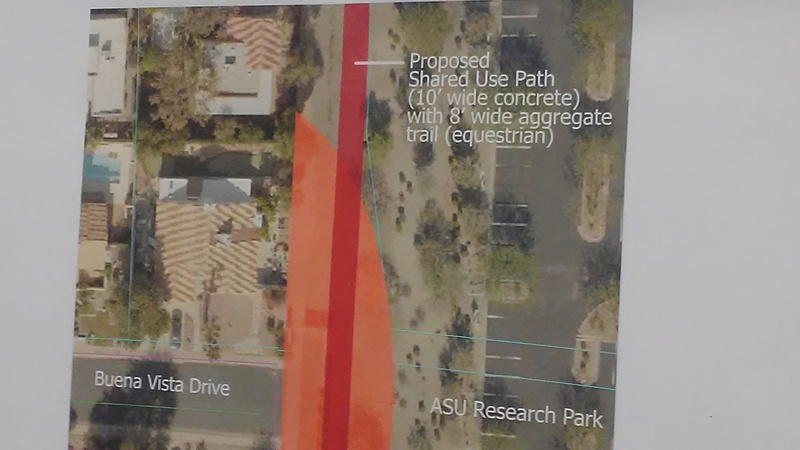 At the furthest segment south, just above Warner Rd., Tempe is proposing a shared bike/equestrian path. Obviously none on Council has been on a horse when it spooks. And obviously none on Council realize anything that moves may spook a horse. Is Tempe liable if a rider is thrown and gets injured? What about injuries to the horse? 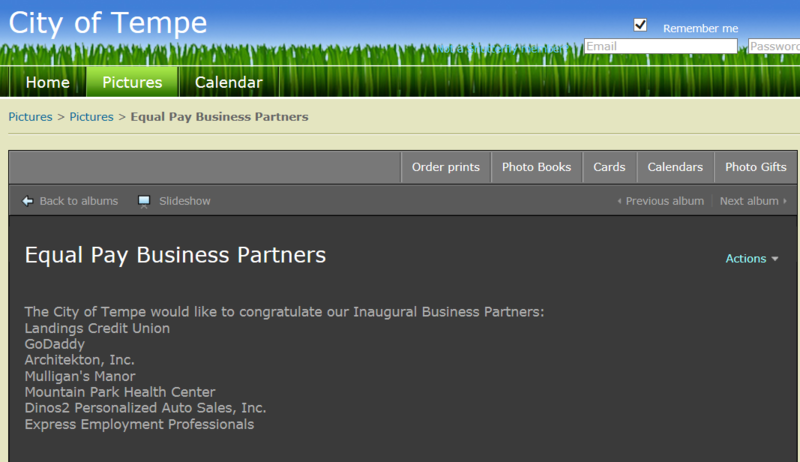 Six Public Information Officers for Tempe? This isn’t New York City or Los Angeles. 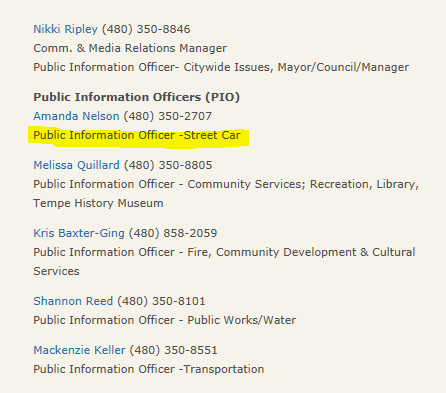 The Streetcar to Nowhere that doesn’t exist yet even gets its own PIO.